Livobion capsules are hepatoprotective and immunomodulatory supplements. Livobion formula is designed to promote the healing process of the liver and prevent various types of liver infections prophylactically. Liver and muscle are the major organs for methyl-group metabolism. Methyl deficient diets are one of the causes of disturbed energy metabolism and protein synthesis in liver, fatty liver and muscle disorders. Livobion maintains optimal methylation at the cellular level and keeps a check on the levels of homocysteine, which is an independent risk factor for stroke, cardiovascular and hepatic diseases..
DL-Methionine is sulphur containing essential amino acid which is the only source of Homocysteine in the human body. It is a precursor of S-adenosylmethionine (SAM), the universal methyl donor for most of the methylation reactions, including the methylation of DNA, RNA, proteins and phospholipids. 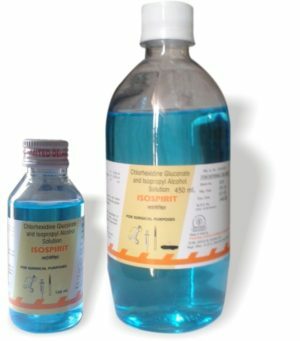 It is used as an alternative to acetylcysteine in acetaminophen poisoning and it prevents hepatotoxicity associated with the poisoning and also restores glutathione stores in liver. Methionine lowers blood histamine by increasing its breakdown and hence used for treating allergies, asthma and chronic pain. As methionine is urine acidifier, it can be used effectively to prevent urinary tract infections, as E. coli, which is usually responsible for cystitis, cannot survive in an acidic environment. Taurine and Cysteine are the other two sulphur containing amino acids synthesized endogenously from Methionine. Cysteine, in addition to the detoxifying function that results from its ability to increase glutathione levels, has clinical uses ranging from baldness to psoriasis to preventing smoker’s hack. Taurine stimulates prolactin and insulin release. It increases bilirubin and cholesterol excretion in bile, critical to normal gallbladder function. Choline is an essential lipotropic nutrient. It is needed for neurotransmitter synthesis, cell-membrane signaling, and transport of lipids, methylation reactions and homocysteine metabolism. It modulates the gene expression in many of the pathways involved in liver function and dysfunction by modifying epigenetic marks on DNA and histones. Choline deficiency is linked to nonalcoholic fatty liver disease, atherosclerosis (via lipoprotein secretion), and possibly neurological disorders. Lysine is one of nine essential amino acids required for growth and tissue repair. It aids in the production of antibodies, enzymes and hormones. It aids in the absorption of calcium and formation of collagen thereby promoting bone cartilage health. It is effective against herpes simplex viruses by interfering with the viral growth by balancing the nutrients. Vitamin B6-Pyridoxine, Folic acid and Vitamin B12 are important co factors in homocysteine metabolism and aid in lowering the plasma levels of homocysteine. Folic acid is required for nucleoprotein synthesis and in the maintenance of normal erythropoiesis. Choline , folic acid and vitamin B12 improve fetal brain development and prevent neural tube defects. Niacinamide (Vit-B3) is required for the functioning of the coenzymes nicotinamide adenine dinucleotide (NAD) and nicotinamide adenine dinucleotide phosphate (NADP). NAD and NADP are necessary for tissue respiration; glycogenolysis; and lipid, amino acid, protein, and purine metabolism. Its deficiency leads to pellagra. Livobion comprises of a comprehensive team of methylating agents like methionine, choline, vitamin B12, folic acid and vitamin B6 which regulates plasma homocysteine levels. Transmethylation metabolic pathways closely interconnect choline, methionine, methyltetrahydrofolate (methyl-THF) and vitamins B6 and B12. The pathways intersect at the formation of methionine from homocysteine. In choline deficiency states more methyl-THF is used to remethylate homocysteine and therefore increases the dietary folate requirements. Conversely in folate deficiency, more methyl groups are used from choline therefore increasing dietary requirements of choline. Vitamin B6 functions as a cofactor in the trans-sulfuration of homocysteine to cysteine. Vitamin B12 converts to its co-enzymatically active form i.e methycobalamin that acts as a co-factor for methionine synthase in the conversion of homocysteine to methionine. Livobion acts by maintaining optimal levels of methylating agents and vitamins that are required to regulate homocysteine levels and also prevents vitamin deficiency states. Livobion is indicated as nutritional supplementation, also for treating dietary shortage leading to amino acids and vitamins deficiency states. It is intended for enhancing liver function competency and also in fatty liver disease. Other indications of Livobion include urinary tract infections, arthritis, allergies, chronic back pain, and management of hyperhomocystemia. Livobion is also indicated prophylactically for preventing neural tube defects. Daily one capsule or as recommended by the physician. Livobion is contraindicated in patients with known hypersensitivity to any of the ingredients of Livobion. Methionine is contraindicated in acidosis, chronic liver diseases, and liver diseases with hepatic encephalopathy, liver cirrhosis and fulminant hepatitis. No major adverse effects have been seen with the individual ingredients of Livobion when administered at recommended doses. Livobion is not recommended for the treatment of severe specific deficiencies of amino acids and vitamins. In such cases, the underlying cause should be determined and corrected. No other vitamins, minerals or supplements with or without methionine should be taken with this preparation except under medical supervision. Ask the doctor before using Livobion if you have any medical conditions. Inform the doctor if you are on a medication or any herbal supplement to avoid any possible drug interactions with Livobion. If pregnant or breast feeding ask your doctor before using Livobion. Use of Livobion for preventing neural tube defects is recommended prior to pregnancy but not during pregnancy as safety of methionine in pregnant and lactating women has not been established.